The Brondell H2O+ Reverse Osmosis Water Filter is a good looking system packed with features most other RO systems lack. 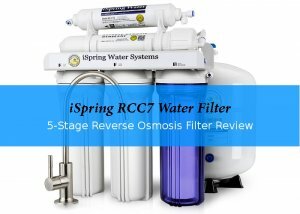 Read my review and decide for yourself if this could be your next reverse osmosis filter or not. When I first saw the Brondell H2O+ I was amazed by the design. A complete reverse osmosis system in a small, stylish box. No matter if you put it on your counter-top or hide it under the counter, the compact design saves a lot of space. And the tubing is also reduced to a minimum. What surprised me even more was the technology used for this water filter. 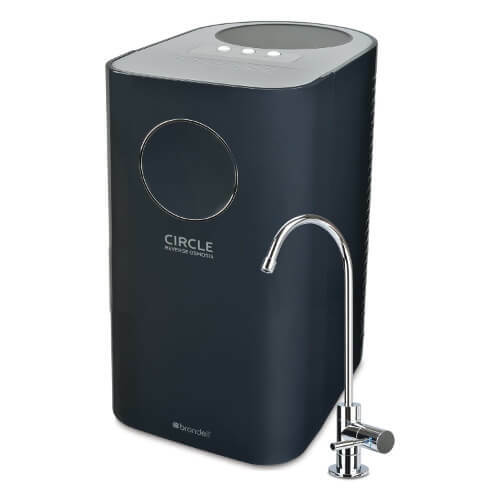 Usually reverse osmosis systems waste a lot of water, not so the Brodell H2O+ Circle RO filter. It is much more efficient than conventional RO systems, thanks to Brondells patented water-saving technology. More of this later, here are the basic facts first. What does the Brondell H2O+ Reverse Osmosis Water System filter out? Extras chrome faucet, batteries inkl. anti-backflow built-in, so no air-gap faucet needed. The compact box contains not only the filters and the RO membrane, Brondell also managed to fit in a 1.6 gallons (6.0 liter) storage tank. This tank refills in less than an hour, so you always have fresh, clean water. Other boxed RO systems like the Apec Water Systems RO-CTOP-C lack a tank and operate much slower. All filters are quick and easy to change. Their twist and seal mechanism makes it a breeze. 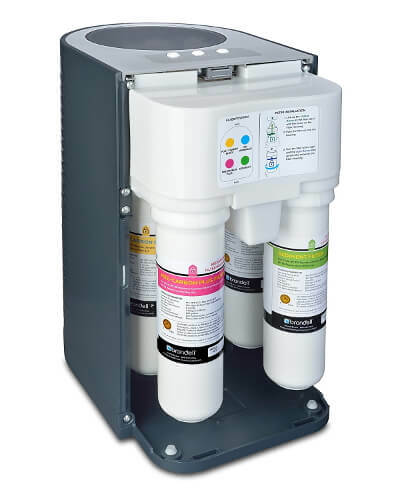 This 4-stage reverse osmosis system consists of two pre-filters, a membrane and a post filter. The Sediment filter catches small particles that may flow in with your water like rust or sand. It is an important part of the system as it protects all following filters and extends their life span. This is where the chlorine, harmful VOCs and other soluble contaminants get trapped. Do not operate the system without these two filter, this could damage the membrane. Water is pushed through this semi-permeable membrane that separates water molecules from pollutants in the water. The RO Membrane significantly reduces a wide range of contaminants. The last stage reduces chlorine and VOCs that made it past the other filters and improves taste and odor of the water. Brodell also included a designer chrome faucet to compliment the system. This faucet has a battery-powered LED filter change indicator. This way you always know if your filters need replacement. Because the unit has a built-in anti-backflow system, you do not need an air-gap faucet. And of course, all installation material needed is also part of the package. Brondell Inc. in an innovative US-American company with headquarters in San Francisco. They develop stylish and high-quality home products. Their water filters not only look different from the competitor's, they also feature smart innovations that make them easier to use and maintain. Brondell gives you a one year limited warranty on this system. The warranty covers all parts and labor cost for the entire product. The manufacturer found a really smart way to reduce the amount of waste water produced by this system. The combination of a “smart valve” with the unique circular reservoir avoids the build-up of back-pressure. 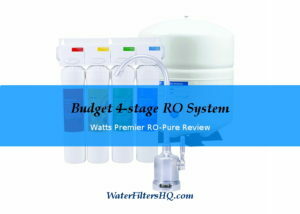 As a result is uses up to 10 times less water than some other RO systems. The installation is easy for an under sink water filter. If you can handle a screwdriver and drill a hole into the pipe under your sink, then you can install the system yourself. All parts you would need come with the system. And the quick-connectors for the pipes a just the top of the cake. 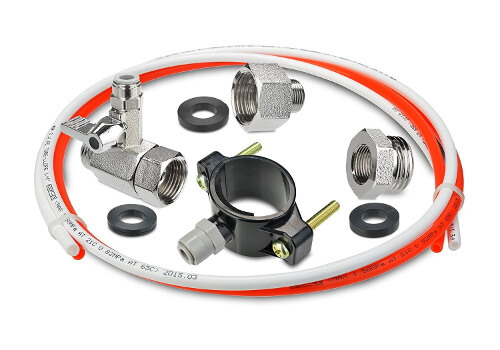 Easy installation by design with just a few parts to connect. Brondell included concise installation instructions with lots of images to guide you through the whole process. You do not need to be a DIY genius to follow them. If you prefer to watch a video instead of reading, they also got you covered. The only complicated part is drilling a hole for the faucet if you can not re-use an already existing one. Even that would not be a problem for someone with decent DIY skills, all others might need the help of a handy man. See instructions on how to drill a hole for the faucet here. The Brondell counter-top water filter may be small, but it is a full featured reverse osmosis filter. The removal rates for the most concerning contaminants is impressive. Here is a table for a quick overview. Detailed information about this filter's ability to clean your water is available here. Every two years, you need a new Brondell H2O+ Circle RO Membrane Replacement Filter. A new mebrane costs around $90. The Brondell H2O+ Circle Sediment and Carbon Replacement Filter Pack (RF-20) costs about $80. You should replace these three filter every six month. In the first two years - while you do not need a new membrane and use the first set of filters - the maintenance of the Brodell system would cost you around $120 per year. After the initial two years, the yearly costs for replacement filters and a new membrane rise to $205. But keep in mind, that the extremely reduced waste water rate will save you real money on your monthly water bill. 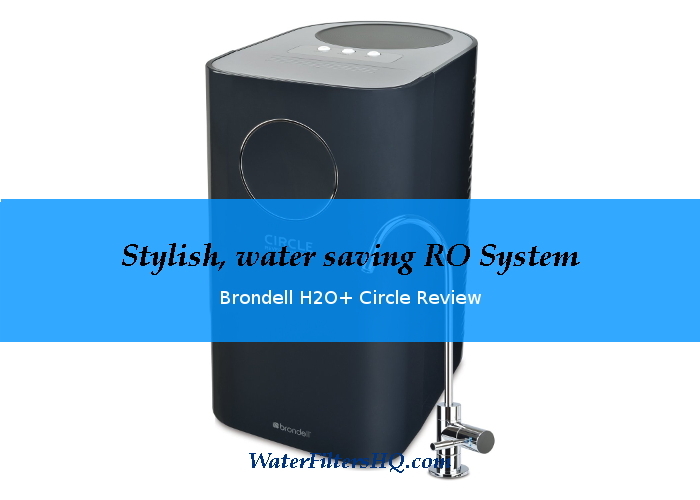 Brondell compared the cost of lost for consumption water of the Brondell H2O Circle with the Premier RO-Pure Plus and the GE PXRQ15RBL and came up with a $15 difference in favor of their own system. Granted, there are more water efficient RO systems on the market than these two, but you get the picture. The waste water rate is extremely low. The RO membrane is automatically flushed. This extends the life span of the system. A chrome faucet with integrated LED informs you about the status of your filters. No guesswork when to change. The filters are WQA Gold Seal, NSF certified. You do not need tools for a quick filter change. GPD is limited to 56 gallons due to the compact design. The system is not suitable for well water. I am quite amazed by this efficient water filter. The design is well planned and the little water that is wasted during the water cleaning process makes it really special among all competing RO filter products. With the Brondell H2O+ Circle Reverse Osmosis Water Filter System the company managed to create a product with outstanding features. It is the ideal reverse osmosis water filter if you believe that wasting water is no longer an option. And you do not even have to compromise on your drinking water quality.